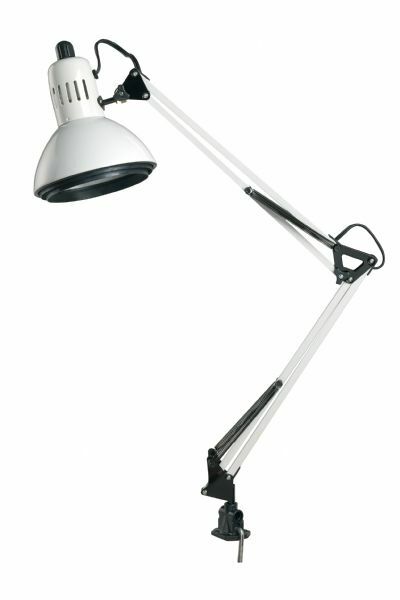 Swing-arm lamp with a ventilated 6½" diameter metal shade with double baffle to reduce glare. * Spring-balanced arm locks securely in any position with a 32" extension. * Twoway mounting clamp for tables up to 1½" thick. * Uses compact fluorescent bulb included. 17" x 8" x 4.2"